I was at JB Hifi in Hobart on the weekend buying a copy of Lego Dimensions: Portal - and when I was paying for it, they mentioned that they had a special offer where they made a donation to a charity without costing me anything extra. 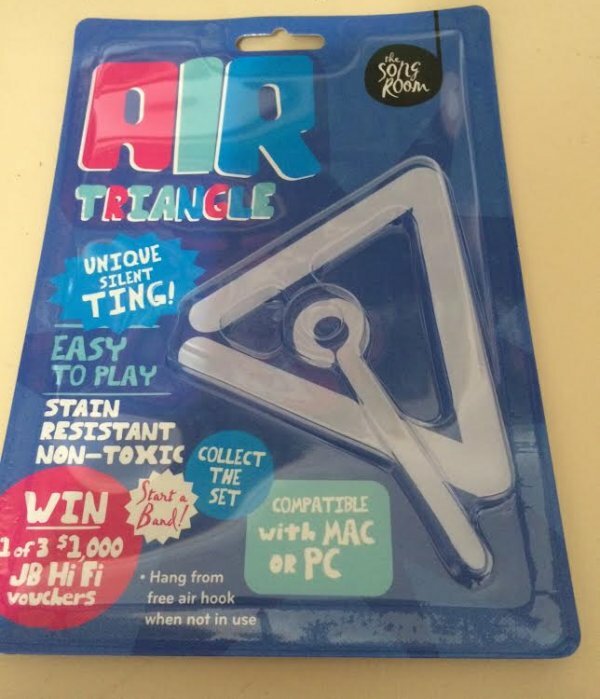 When I got home, I realised they’d given me an extra packet - of an Air Triangle. This is an empty packet. So apparently when you buy one of these (or in my case get it thrown in) it gives a donation to a charity that gives musical instruments to underprivileged kids. That sounds fine and dandy to me - but did they really need to make a physical packet? It’s plastic and cardboard that’s just going to go in the bin and end up in landfill.